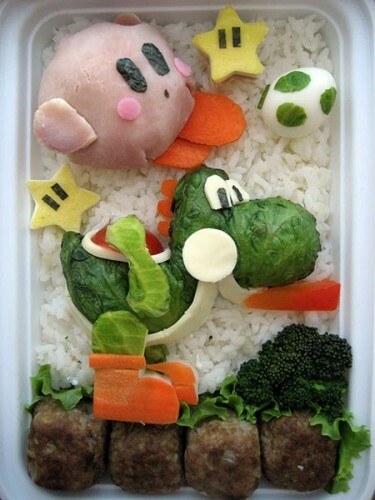 My son says they have national Bento contests in Japan. I’ll bet that brings in some fantastic artists. I need to go to Japan. WTH is Big Daddy made with? He looks disgusting, like a poop or someting?? First thougth was dried fig, but who eats that with rice? 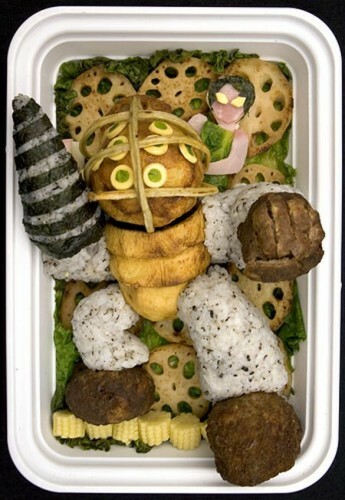 And it still looks weird..
Lots and lots of awesome bentos on flickr, just searchs. 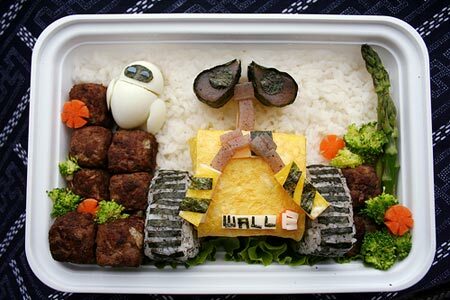 You can find lots of blogs in English as well, some Western mothers have startet doing this for their kids lunch. How awesome is THAT!